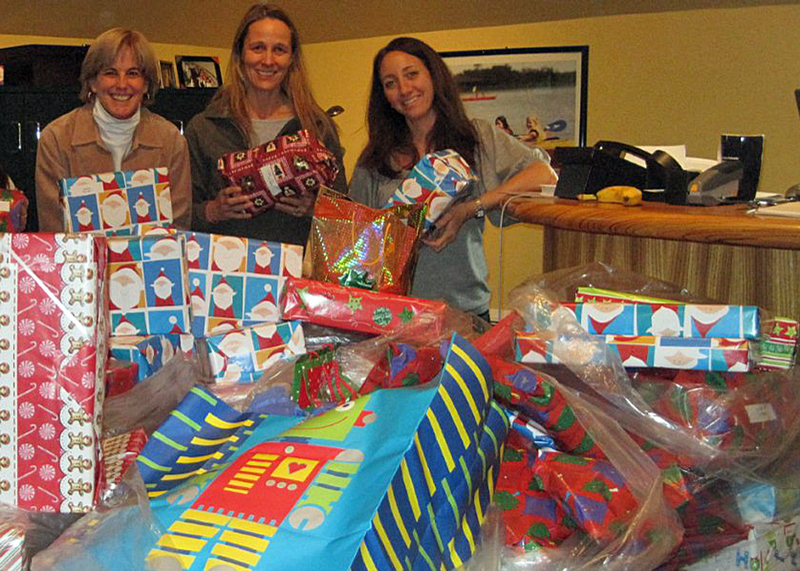 For the fourth year in a row, the Timber Lake Family of Camps has joined together for the holidays to make a difference in the greater Glen Cove community. Our winter office staff has again “adopted” several local families and has spent the past few weeks shopping to fulfill each family member’s Christmas list. From socks and shoes to games, toys, books and winter coats, we’ve bought and wrapped it all! The gifts will be delivered (by a fully suited TLC Santa Claus) just in time for Christmas! An extra thanks goes out to the many families from North Shore Day School that donated toys, gifts and clothes, and also to our camp families who so generously participated: Jason Littman & the Littman Family kindly donated rolls and rolls of wrapping paper; Michele and Steven Koss generously donated designer perfumes for the moms and older girls in each family; Michele and Evan Cagner donated dozens of pairs of shoes and boots. And another special thank you to the team behind FUSHIGI balls, who sent us these incredibly cool Fushigi balls that were at the top of every child’s list.